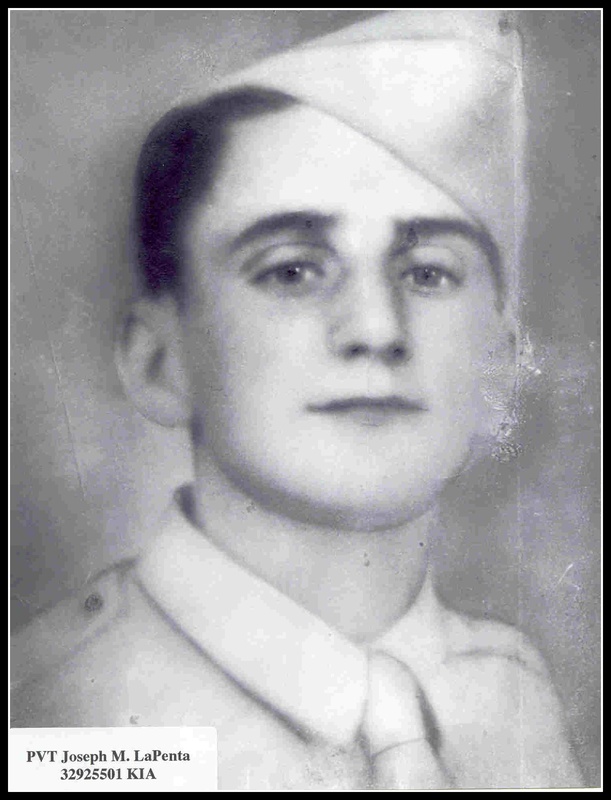 Private Joseph M. LaPenta, of 68 Eugene Place, was killed in combat in Italy on January 21, 1944. Born in 1925, LaPenta served in the 36th Infantry Division, 143rd Infantry Regiment. His service number is 32925501. He is buried at Mount Olivet Cemetery, Bloomfield, N.J.